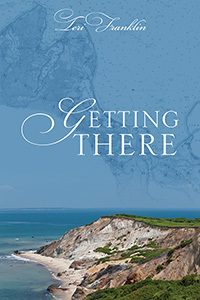 Teri Franklin’s “Getting There.” She thought she would never find trust. He thought he would never find love. Set in Martha’s Vineyard, two heavy-hearted people discover a passion neither thought possible, an eroticism neither can fully disclose, and a complex relationship of dominance and submission they can’t control.